Hilarious Histories: What’s So Funny About The Past? 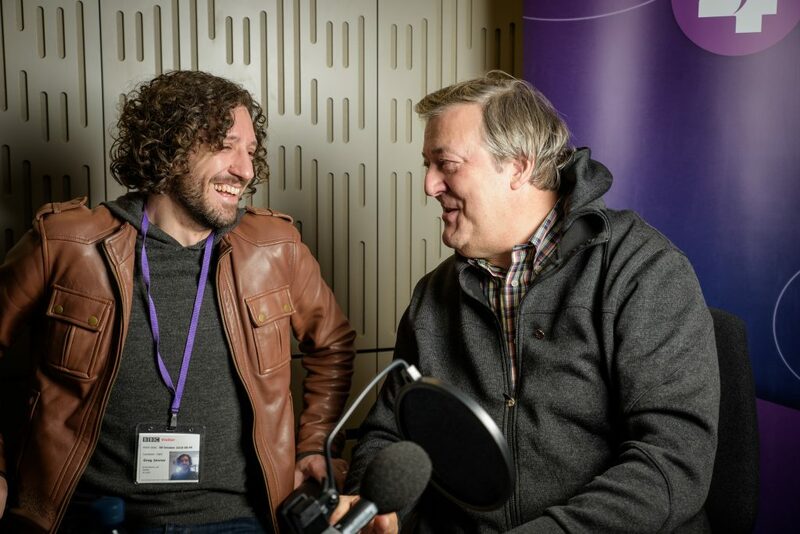 Listen now to this fun 3 hour radio show for BBC Radio 4 Extra, where I ask why history has proved to be such a reliably fertile source for comedy? Exploring Blackadder, Monty Python, The Goons, Mitchell & Webb, Austentatious, Pauline Pepys’ Dowry, and several other shows, it includes interviews with Stephen Fry, Andrew Hunter-Murray, Cariad Lloyd, Natalie Haynes and Ben Ward. Plus we play brilliant comedy shows and clips from the BBC archives. It’s a proper hoot! Every day, from the moment our alarm clock wakes us in the morning until our head hits our pillow at night, we all take part in rituals that are millennia old. In this gloriously entertaining romp through human history, historian Greg Jenner reveals a story 1 million years in the making. When: Friday nights for 10 weeks, from April 21st onwards. 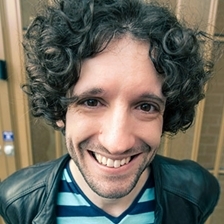 Greg Jenner is a British public historian with a particular interest in communicating history through pop culture. 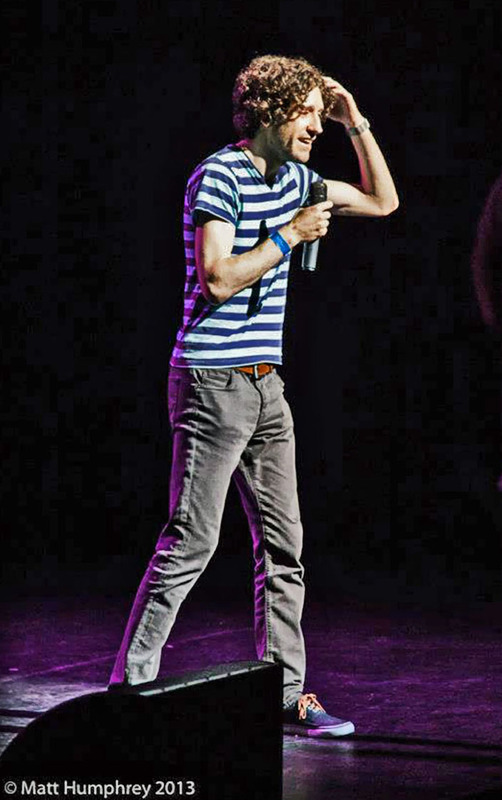 Though he regularly pops up on TV, radio and podcasts, Greg is best known as the Historical Consultant to the BBC’s multi-award-winning children’s comedy series Horrible Histories, having been solely responsible for the factual accuracy of (thus far…) over 1,600 sketches and 100+ comedy songs. He is also the author of the cheerfully entertaining bestseller, A Million Years In A Day: A Curious History of Ordinary Life, From Stone Age to Phone Age. Every day, we take part in rituals that are millennia old. Greg Jenner’s witty and illuminating book reveals their astonishing origins and development. Who invented beds? When did we start cleaning our teeth? Jenner scoured Roman rubbish bins, Egyptian tombs and Victorian sewers to bring us a smorgasbord of historical delights reveals how we got from huddling around an open fire in animal skins to becoming the smartphone-wielding metropolitans we are today. From Stone Age to Phone Age: The History of Your Morning Routines. Every day of our lives, we go through the same basic rituals and routines that our ancestors also practised – washing, using the toilet, eating, drinking, communicating, socializing, walking the dog etc. 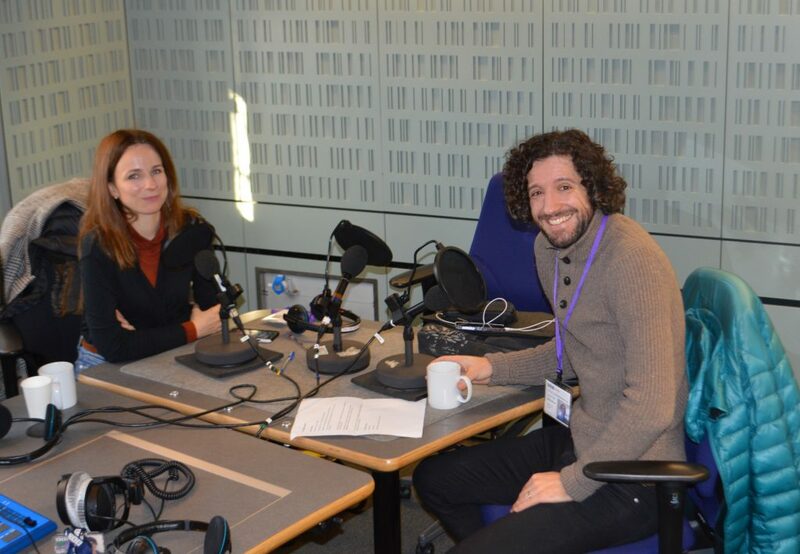 In this cheerfully entertaining talk, historian Greg Jenner (Historical Consultant to BBC’s Horrible Histories, and co-host of BBC2’s Inside Versailles) offers a whistle-stop tour of how your morning routines evolved over millennia. This talk is suitable for families. 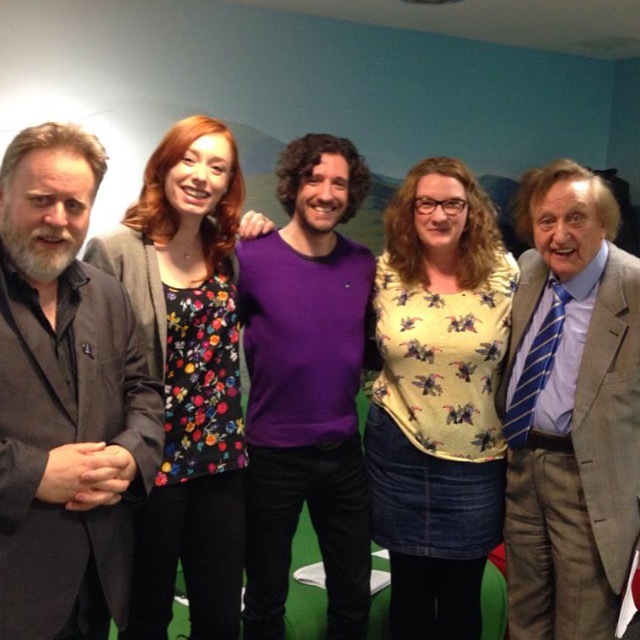 Greg is a guest on Radio 4’s Museum of Curiosity show, alongside mathematician Dr Hannah Fry and veteran comedian Ken Dodd. The presenter is John Lloyd and the Series Curator is comedian Sarah Millican. 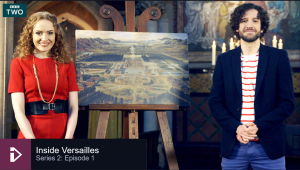 The Great History Quiz – BBC2, 9pm on Christmas Eve! 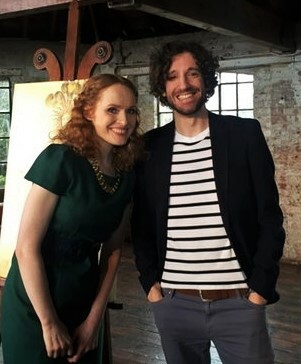 Greg made his TV debut in a one-off Tudor quiz for BBC2! You can watch it here He is joined by team captains Dan Snow & Dr Lucy Worsley, plus fellow panellists Dr Jonathan Foyle, Prof. Kate Williams, and Dr Anna Whitelock. It’s a tricky quiz to test the nation, and some leading historians, on all aspects of Tudor history – including rounds dedicated to food, medicine, music and recovered treasures from the sunken Mary Rose warship. Who invented beds? When did we start cleaning our teeth? Which came first: the toilet seat or toilet paper? What was the first clock? In this enjoyably amusing talk inspired by his book A Million Years In A Day, Greg guides us through the historical evolution of our morning routines, revealing that much of what we do every day began in the Stone Age. Greg Jenner is the Historical Consultant to CBBC’s multi-award winning Horrible Histories, Horrible Histories with Stephen Fry, and more. As well as contributing sketches he has been solely responsible for the factual accuracy of nearly one thousand comedy sketches with subject matter that has spanned the entirety of human history. Some things history are weird, some are outrageous and some are just plain disgusting. Suitable for children age 6+ and their family and friends. Every day of our lives, we go through the same basic rituals and routines that our ancestors also practised – washing, using the toilet, eating, drinking, communicating, socializing, walking the dog etc. 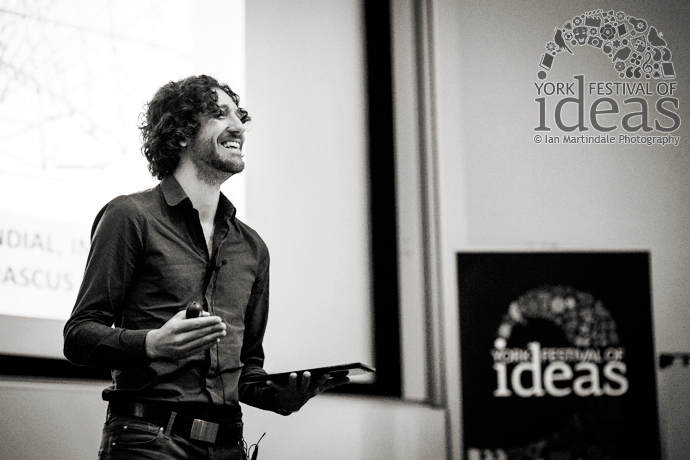 In this cheerfully entertaining talk, historian Greg Jenner (Historical Consultant to CBBC’s ‘Horrible Histories’) guides us through a whistle-stop tour of how these routines have evolved since the Stone Age, using examples drawn from his book ‘A Million Years In A Day: A Curious History of Everyday Life, From The Stone Age To The Phone Age’. Historian Greg Jenner will take an ordinary day as his template to reveal the astonishing origins and evolution of the practices we take for granted. Drawn from across the world and spanning a million years of humanity, this smorgasbord of historical delights will reveal how we got from huddling around a fire to becoming the smartphone-wielding metropolitans we are today. A panel discussion between the producers & writers of the BBC TV show and the illustrator of the book series, Martin Brown. Every day of our lives, we go through the same basic rituals and routines such as washing, using the toilet, eating and communicating. 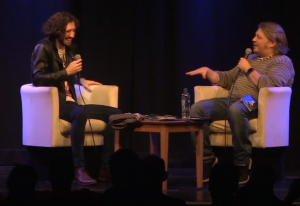 In this talk, historian and historical consultant to CBBC’s multi-award winning Horrible Histories, Greg Jenner, guides us through the story of how these routines have evolved since the Stone Age. Who invented beds? When did we start cleaning our teeth? How old are wine and beer? Which came first: the toilet seat or toilet paper? What was the first clock? 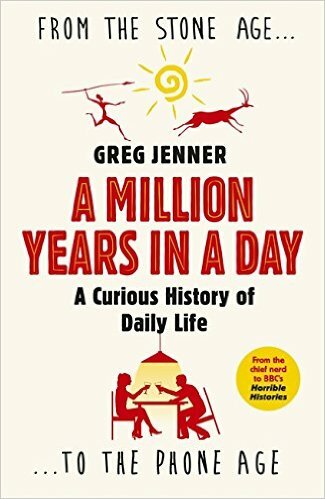 In this gloriously entertaining romp through human history Greg Jenner, historical consultant to Horrible Histories, explores the gradual and often unexpected evolution of our daily routines. Greg did a 9 hour shift at Mark Watson’s epic Comic Relief event. In celebration of Thomas Hobson’s Conduit, that brought fresh water to Cambridge, join Greg Jenner – Historical Consultant to CBBC’s Horrible Histories, and author of the new book A Million Years In A Day: A Curious History of Everyday Life – as he discusses the surprising history of personal hygiene and public sanitation. In conversation with Professor Helen Weinstein, Greg will explore the toilet habits of rich and poor: from Bronze Age plumbing, to Tudor England’s first flushing loo, all the way to Thomas Crapper’s famous washout closets. He’ll also explain the strange story of how bathing fell out of fashion; first with the rise of Christianity in Late Antiquity, and then with the burgeoning science of the 17th century (when Francis Bacon so feared bathing in water he devised a bizarre 26 hour-long safety bath). We’ll also hear about the history of soap, deodorant, toilet paper and toothpaste in what will be a light-hearted but stimulating evening. All Welcome! 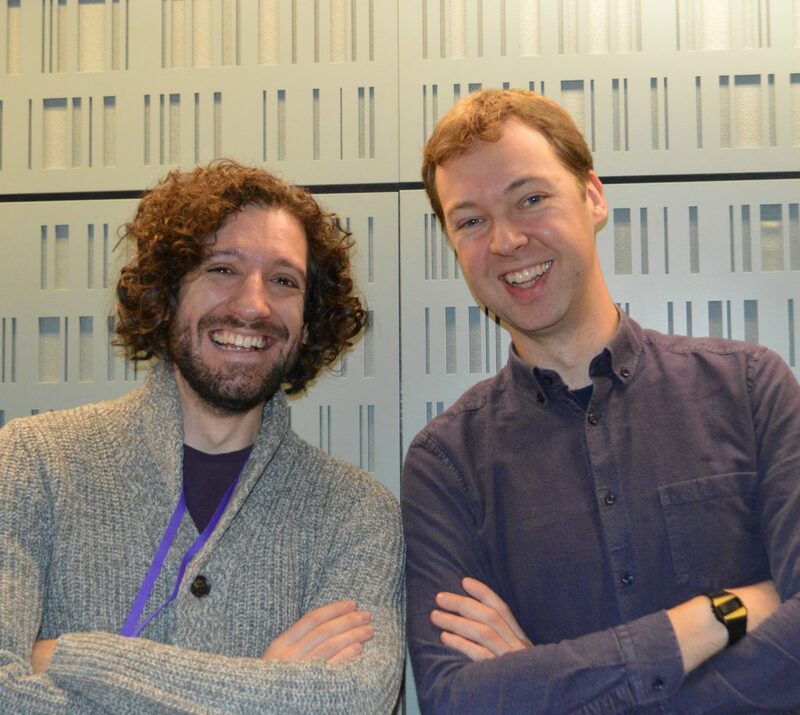 Join Greg Jenner (historical consultant for CBBC’s Horrible Histories), and comedian Al Murray, for a light hearted evening of learning and laughing, as they discuss Greg’s charming new book A Million Years in a Day: A Curious History of Everyday Life, From Stone Age To Phone Age. This promises to be an evening of historical delights, revealing the fascinating origins of our modern daily routines. Greg will be happy to answer questions, sign his book, host a mini-quiz and will even be bringing cake for everyone!